My one decade of parenting has taught me that children are not miniature adults; rather, they're different in just about every way, because they are still developing and have not amassed a battery of defense strategies, either psychological or physiological. Adults are literally more hard-headed because we've had more time to grow a thick skull, whereas the brain case of a child is softer, thinner and more vulnerable to harm. Children wear bike and boarding helmets designed to protect a kid-sized head; it would be dangerous, and dumb, to say that grownups' head protection gear is good enough for little people. So when it comes to cell-phone safety standards, why is it that levels set for adults, based on skull measurements modeled from a plexiglas mannequin of a large man's head, are supposed to fit kids as well? And for that matter, why are they supposed to work for adults who happen to be small? An international scientific study titled "Exposure Limits: The Underestimation of Absorbed Cell Phone Radiation, Especially in Children," published Oct. 17, concludes that the standards, in fact, do not fit. Present cell-phone radiation standards, based on specific absorption rates approved by the FCC, were determined by adult physiology—specifically, male adult physiology. According to the new report, the absorption rates "for a 10-year old is up to 153 percent higher" than for adults, owing to the fact that in a child's head "absorption of the skull's bone marrow can be 10 times greater than adults." It's not just the brain that's vulnerable. 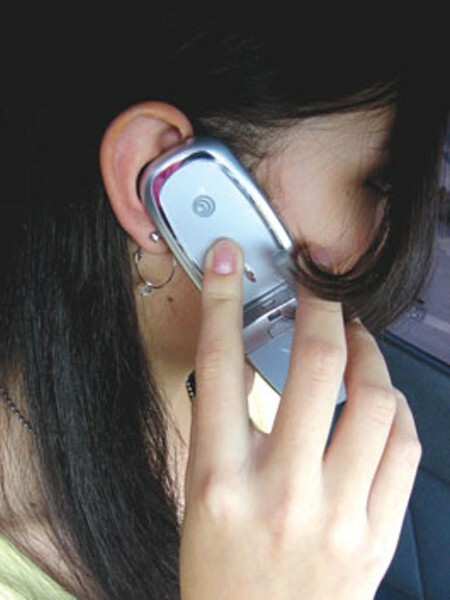 Cell-phone radiation heats up and damages other human tissues. "Pulsed digital radiation from cell phones," reports the Journal of Electromagnetic Biology and Medicine, "induces an array of biological impacts ranging from blood-brain barrier leakage to brain, liver and eye damage in prenatally exposed offspring of rabbits and rats, to genotoxic effects on human cells." This type of pulsed radiation mentioned in the study comes specifically from the type of cell phones used in this country by AT&T and T-Mobile, referred to as GSM- and UMTS-type cell phones. But all cell phones emit radiation. Researchers conclude that allowable radiation levels should be based on metrics from MRI scans of real humans in a range of ages and sizes, including children, small adults and pregnant women. It doesn't take a scientist to see that radiation levels safe for a large man aren't safe for a child. So parents, get your kids wired headsets for cell phones. They're even cheaper than bike helmets. For more, visit www.electromagnetichealth. org.